WHEN boffins looked to the stars from the banks of the Gareloch at Rhu during World War Two, were they envisaging that one day they would be pioneering rocket and supersonic air travel? Experts including Harry Garner, John Allen, James Hamilton, Ronald Andrew Shaw and Robert Hugh Francis all served at RAF Helensburgh, the Marine Aircraft Experimental Establishment in and around Rhu — and all went on to even greater things. 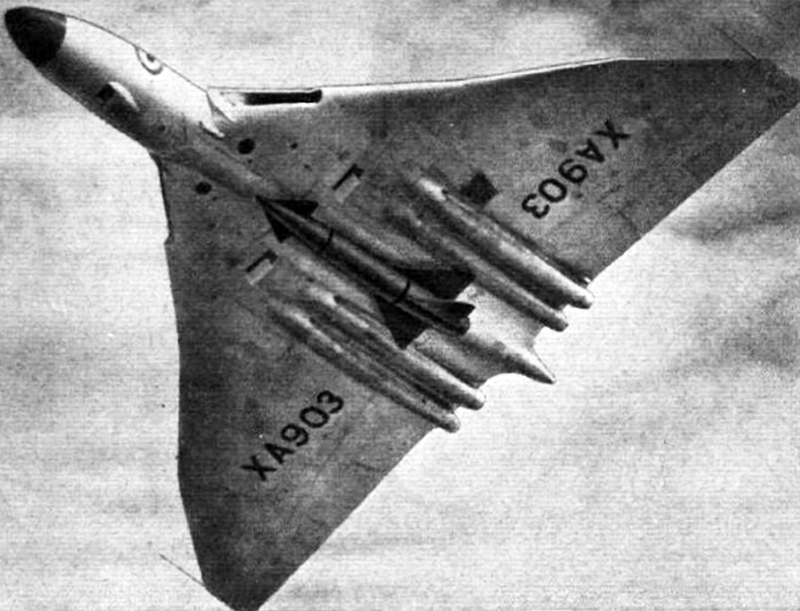 Retired Merseyside newspaper editor Robin Bird, author of two books about MAEE where his father Bob was a photographer, says that their post-war aviation achievements included Concorde supersonic aircraft, space shuttle rockets, hovercraft and atomic bombs. They were also the authors of scientific papers on these subjects, while forecasting travel to the stars. The first principal scientific officer at RAF Helensburgh was Mr Garner, who was formerly in that role at MAEE’s previous base at Felixstowe. He was in charge of research carried out at Rhu, and his legacy was the construction of the Glen Fruin hydro-ballistic water tank for testing bombs and firing projectiles. The Glen Fruin water tank whet the appetites of the boffins to know more about jet and rockets travel. After the war Mr Garner was chief scientist for the Ministry of Supply, with responsibility for aerodynamic research. His continued career in aviation resulted in him being named in the King’s Honours list of 1948 and being knighted in 1951. This was in no small way due to his wartime services at Helensburgh, where it was said Garner brought expert knowledge, such as few people possessed, to solving the many problems and difficulties presented by flying boats. Sir Harry was also interested in space flight and forecast space travel to the moon 20 years before it happened, and he worked with Sir Bernard Lovell on the Jodrell Bank telescope. Yet it is not for these aviation achievements that Sir Harry is mostly remembered. He collected Japanese and Chinese works of art, and he wrote several reports and gave lectures on the subject — becoming a world expert. In retirement his writings were no longer black and white reports for Government departments, they concerned blue and white Chinese porcelain. In 1954 Sir Harry identified two vases to be the only known 14th century blue and white Chinese vases. By 1943 Mr Francis and Mr Shaw had succeeded Mr Garner as the workload at Helensburgh increased, including aircraft research and testing weapons, air sea rescue equipment, and the use of the base for top secret missions. In June of that year the 150 ft long, 30 ft wide and 40 ft deep water tank at Glen Fruin came into use. Mr Francis, at the age of 35, was a young man for such a senior role. He conducted much research at Glen Fruin and took the initial steps which led to the world’s first jet seaplane fighter — flying models of which were tested on the Gareloch. Returning to Felixstowe at the end of the war Mr Francis saw the project through to witness the first flight of the Saunders-Roe A1 jet in July 1947. In the late 1950s and early 60s Mr Francis also played a significant role in the development of Blue Streak, Britain’s rocket propelled nuclear armed missile. Mr Shaw was born in Liverpool in 1910 and gained a 1st class honours degree at Cambridge, then was an apprentice at the Royal Aircraft Establishment at Farnborough. He moved on to Felixstowe and then Helensburgh, where he was responsible for a major review of its armament work. At Glen Fruin he conducted trials and wrote reports on the underwater trajectory of bombs and rockets. He also experimented with hover jets fitted to flying boats to give a down force on lift off. After the war as assistant director of the Ministry of Supply he was responsible for aerodynamic research. In this capacity he took under his wing the inventor of the hovercraft, Christopher Cockerell, and he encouraged the Government and the Isle of Wight-based aero and marine engineering company Saunders-Roe to build the world’s first hovercraft, the SRN1. John Allen was one of the younger talented scientists at Helensburgh, still being in his early 20s, after graduatiing in aeronautical engineering. As an apprentice from Handley Page he went to Felixstowe then Helensburgh. He was a hands-on scientist and qualified as a pilot on the Auster floatplane prototype at Helensburgh, flying solo at Rhu. He was the only Ministry of Aircraft Production scientist to qualify on both land and sea planes. When MAEE returned to Felixstowe his hard work at Helensburgh resulted in Allen being appointed head of the technical department. 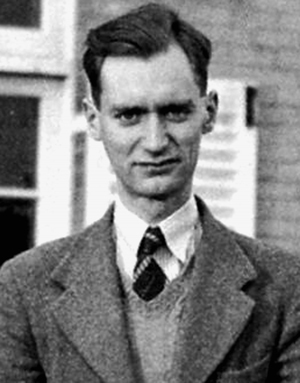 As Professor Allen he became eminent in aeronautics during the post war years. He supervised the ballistic and aircraft integration of the Blue Danube, Britain’s first atomc bomb. From the 1960s he was deputy director of Avro for the development of the hydrogen bomb. At Hawker Siddeley he was involved in the development of the Harrier and Hawk aircraft, the latter flown by the Red Arrows, and throughout his post war career Professor Allen showed an interest in rockets and space travel. James Arnot Hamilton (left) went to Helensburgh straight from university, and although just turned 20 years-old he showed a talent for aircraft design and was in charge of the Supermarine Spitfire floatplane. He survived an aeroplane crash which claimed the life of his friend and colleague Graham White. In an interview with Robin Bird in 2010, shortly before his death in 2012, Sir James recalled his time and work at Helensburgh, including assessing the effects of jet propulsion on seaplane design. When he arrived at Helensburgh he found lodgings at a charming bungalow on the outskirts of the town run by Mrs Rosser. When MAEE returned to Felixstowe Mr Hamilton was promoted to head of flying research, and later senior appointments included in 1948 becoming head of projects of the Royal Aircraft Establishment. As director for the Anglo-French Concorde project he helped hone the shape of the supersonic airline and its delta wing, for which he received a knighthood. Sir James had senior appointments with the Government before retirement in 1983. He then produced in 2003, with co-author John Allen, a report on the MAEE contribution to seaplane research. They looked to the future of aviation and predicted the growth of civil aviation in the wake of the decline of the flying boat. Helensburgh is rightly proud of John Logie Baird inventor of the television, but Robin suggests that the town can also be proud of the achievements of Garner, Allen, Hamilton, Shaw and Francis.